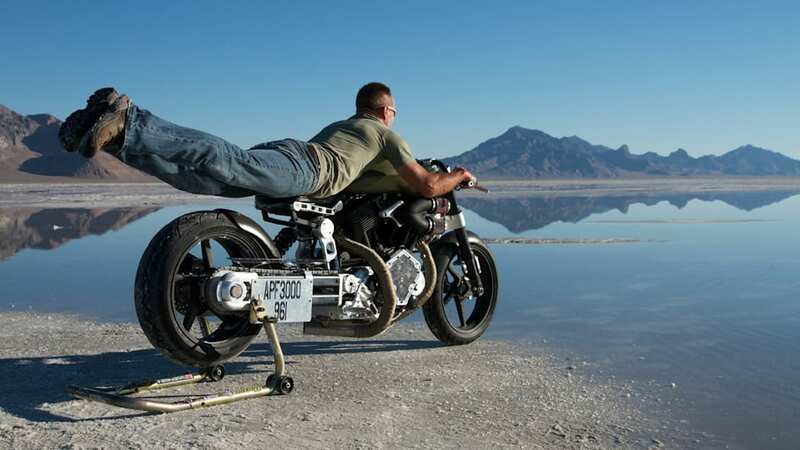 In 2010, James Hoegh rode his Confederate P120 Fighter motorcycle across the Bonneville Salt Flats and reached 159 miles per hour. A little later he went back and got that up to 162.6 mph. 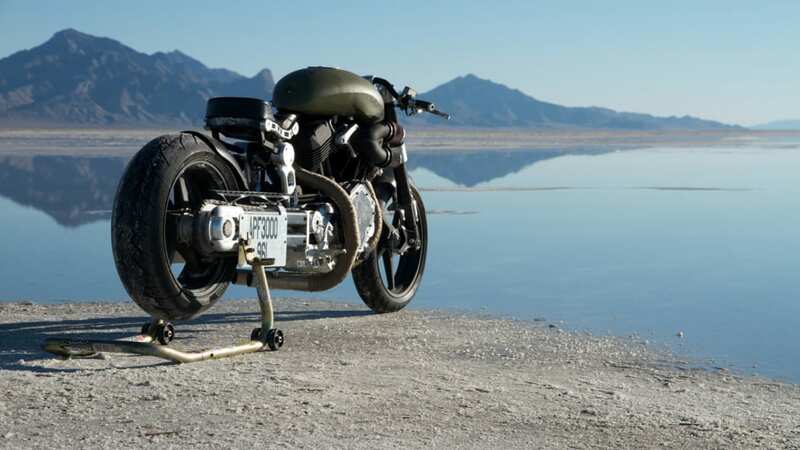 This year he's going back to the BUB Motorcycle Speed Trials in Bonneville to try and hit 170 mph, which would break the record of 168.912 mph in the APF3000 class, set last year by Wink Ellis. 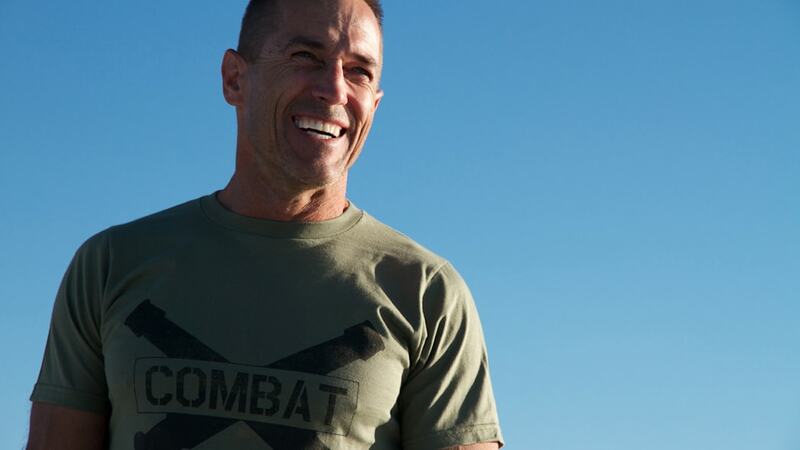 Heogh is sticking with Confederate for the attempt, but he's switched over to the X132 Hellcat Combat, a specially developed prototype version of the X132 Hellcat. 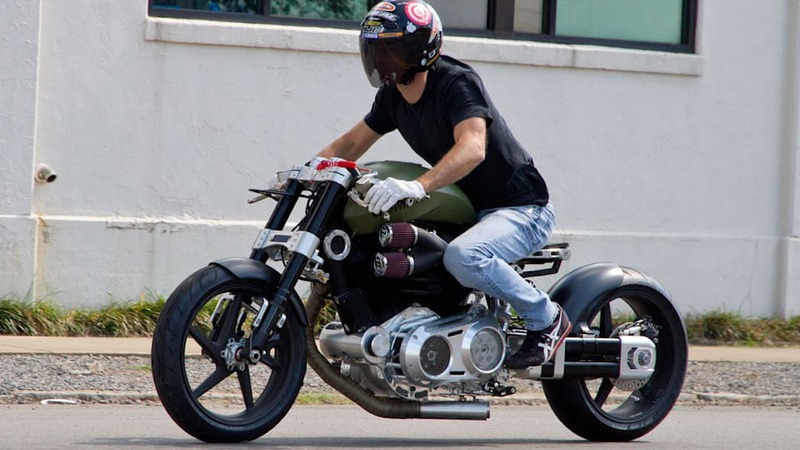 The one-of-a-kind bike maintains the 132-cubic-inch S&S XWedge engine of the standard Hellcat and fits upgraded kit like a custom dual-track intake, CNC-ported heads with shorter cylinders, new rocker arms, a radiused crankshaft and a different compression ratio. 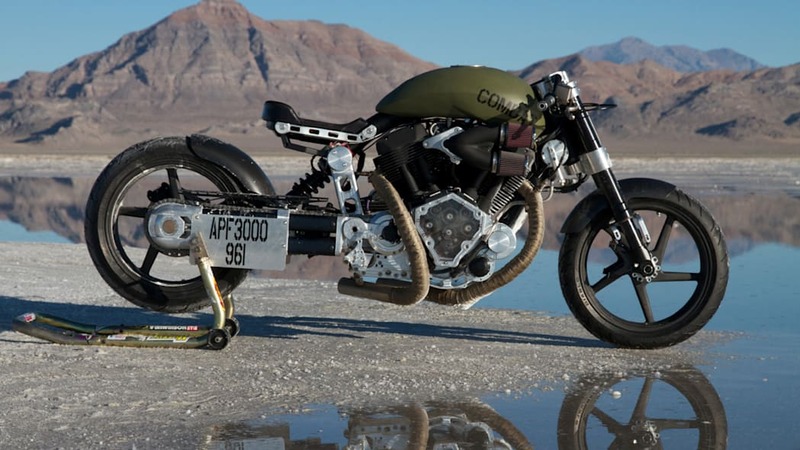 It won't be one-of-a-kind for long though, with Confederate set to produce "a limited number" of Hellcat Combats early next year. The trials were held this past weekend and results weren't available at the time of writing, but if Hoegh manages to break the record with his, we imagine the production run will sell out even faster than limited-edition Confederates usually do. Scroll down below for the press release. Birmingham, Alabama. 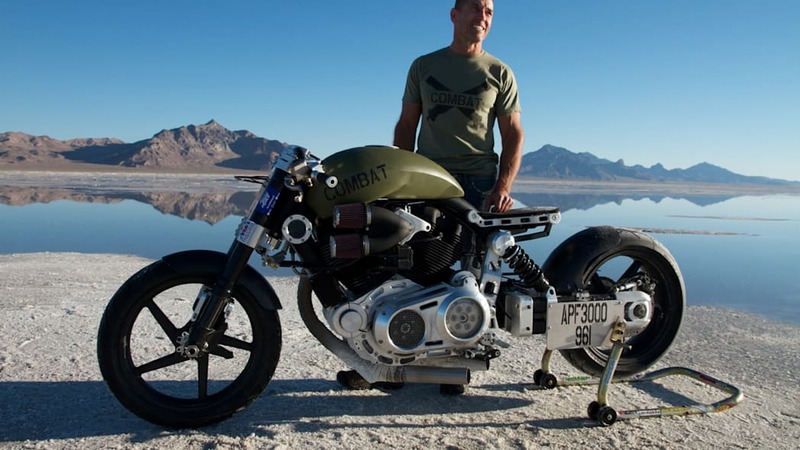 (August 24, 2012) - Confederate Motors, Inc. (OTCBB:CFED), makers of exotic American road bikes, is returning to the Bonneville Salt Flats this weekend with its latest experimental prototype, the X132 Hellcat Combat. 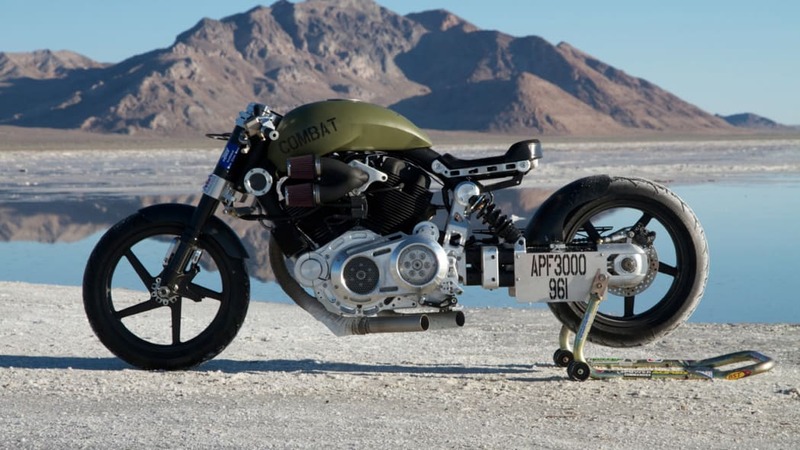 The prototype X132 Hellcat Combat is a modified version of the company's acclaimed X132 Hellcat, which was recently named 'World's Best Custom Motorcycle' by Robb Report Magazine. 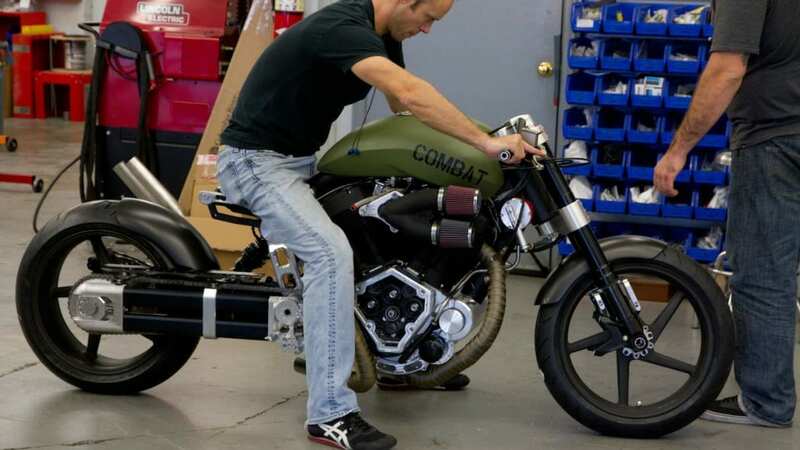 The experimental prototype was commissioned by and handcrafted for Mr. James Hoegh of Sunbury, Pennsylvania. 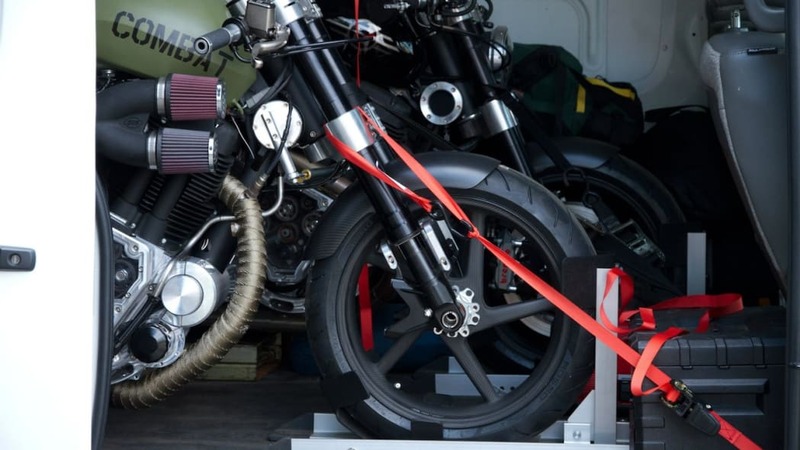 Hoegh will pilot the machine in a quest for a land speed record at this years BUB Motorcycle Speed Trials in the APF 3000 category. 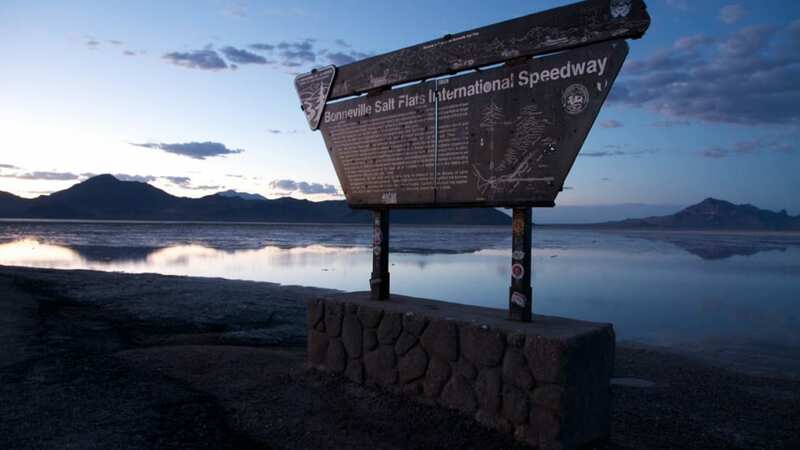 The record currently stands at 168.912 mph. 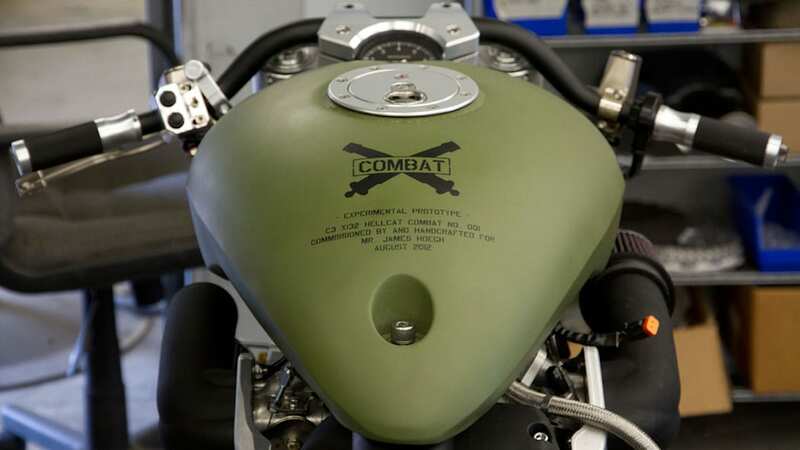 The company plans to produce a limited number of production X132 Hellcat Combats next spring. 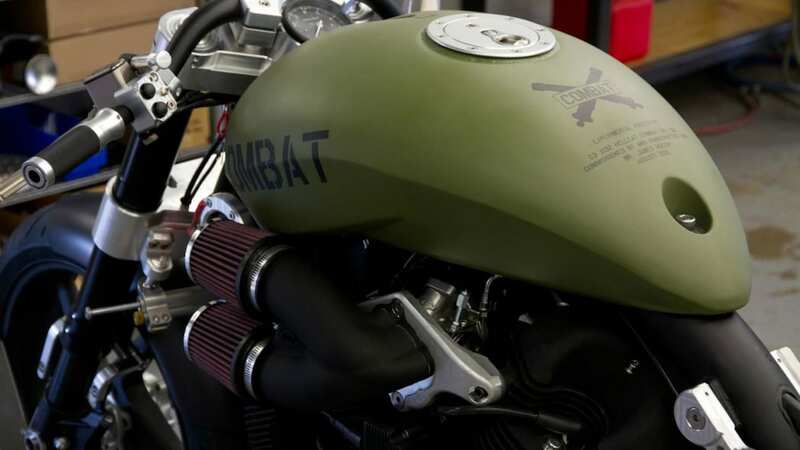 Confederate's founder and CEO, Matt Chambers, says the production version of the X132 Hellcat Combat will be the last of a breed. "There will be no more big block Confederates after the Combat examples are produced next spring. 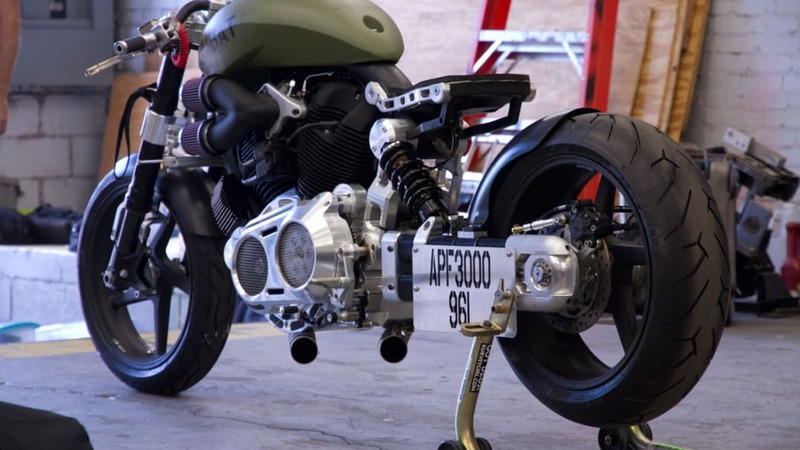 These examples, represented by the experimental Combat prototype, are going to be the end of an era for massive displacement American V-twins packaged as fully structural components within a billet case and handmade chassis. No expense will be spared in our effort to memorialize this passing as the definitive exclamation point."